The Avventura and the Urban Cross are the crossovers based on the Punto Evo. Power comes from the same 1.4 liter turbo petrol engine that makes a few less Bhp here though. The engine now makes 138 Bhp and 210 Nm. The main advantage of these vehicles is the grounc clearance on offer. The Avventura and the Urban Cross both come with 205 mm ground clearance which is more than adequate to go over anything our roads have to offer. The Urban Cross is essentially an Avventura, that has lost the spare wheel from the hatch lid. The spare instead sits in the boot now. The duo is ideal if you want a fun to drive vehicle, yet want to deal with bad roads and potholes. The Aspire was the first sporty compact sedan to have been launched in the Indian market. 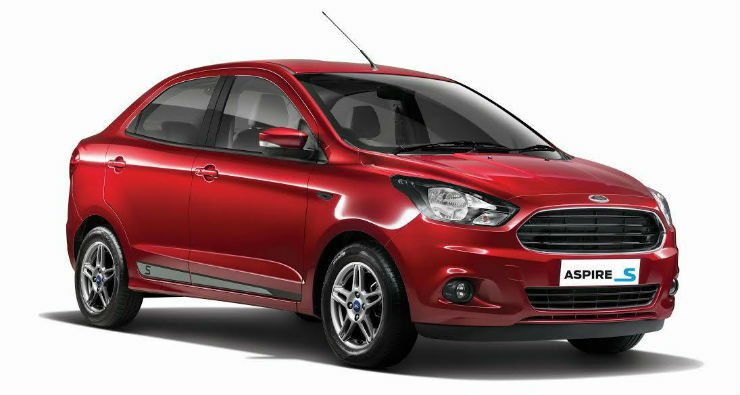 It has just gotten a Sport variant, with the introduction of the Figo Sport. This one is powered by the same 1.5 liter diesel engine that makes 99 Bhp and 215 Nm. The engine is mated to a 5-speed manual transmission. The Sport has re-tuned suspension and larger 15″ alloys that make the car more sporty to drive. The Aspire had the best of frugality and driving pleasure, and this new Sport variant certainly adds to the driving pleasure bit. The Ameo is VWs latest offering. It is their first take at a compact sedan and India happens to be the only market in the world where Ameo is sold. The vehicle is based on the same PQ25 platform, the one on which the Vento and the Polo are based on. The Ameo diesel comes with a 1.5 liter engine making 108 Bhp and 250 Nm. 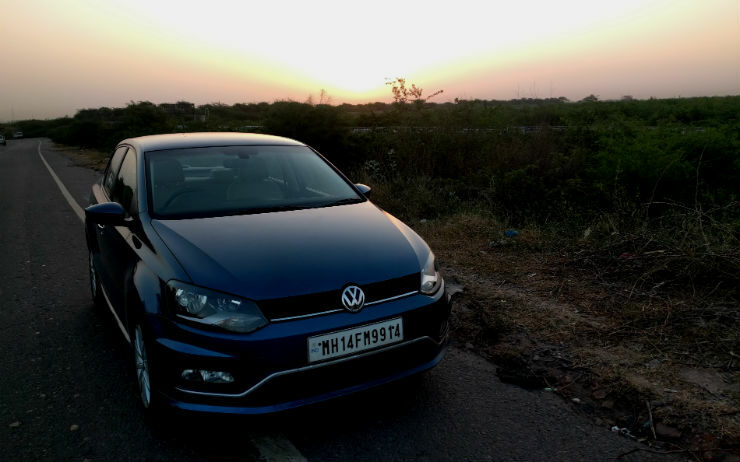 This engine is mated to a silky smooth 7-speed DSG which makes it very fun to drive. You also have the option of a 5-speed manual transmission. This is the same engine that is on offer on the Polo GT TDI. The only difference is the addition of the DSG here. If you do need a sporty diesel automatic vehicle, this is the cheapest you can get. There are discounts on offer currently on the Ameo, which will make this a sweeter deal. The new Rapid was launched late last year. The new Rapid looks a lot more fresh than the other sedans in the market currently. The main reason why this car is on the list is the 1.5 liter diesel engine that makes 108 Bhp and 250 Nm. It can be had in both manual and automatic trim levels. However, the manual is cheaper and more fun to drive, since you have more control.The Rapid is a sportier choice than the Vento, since the suspension has been set up better on the former. There are discounts on offer on the Rapid as well. The Linea 125S has to be the most sporty and fun to drive petrol sedan in this segment currently. It is also powered by the same 1.4 liter T-Jet engine that comes on the Abarth. However this one now makes only 123 Bhp and 208 Nm. If you are in the market for a petrol sedan that is involving to drive and want a manual car, this is the one to go for. With the current price drop, this is a great value-for-money proposition as well.